Have you ever thought, "If I were to go to a Spanish immersion program in Spain or Latin America for a while, then I'd really learn Spanish faster?" An immersion experience is a wonderful way to learn the language when it's done right. But, if you're not quite ready to commit to an immersion experience abroad, you can still put yourself in situations at home where you get in practice Spanish locally. Make the best of living in a country where Spanish isn't the official language by creating and finding opportunities in your own community. 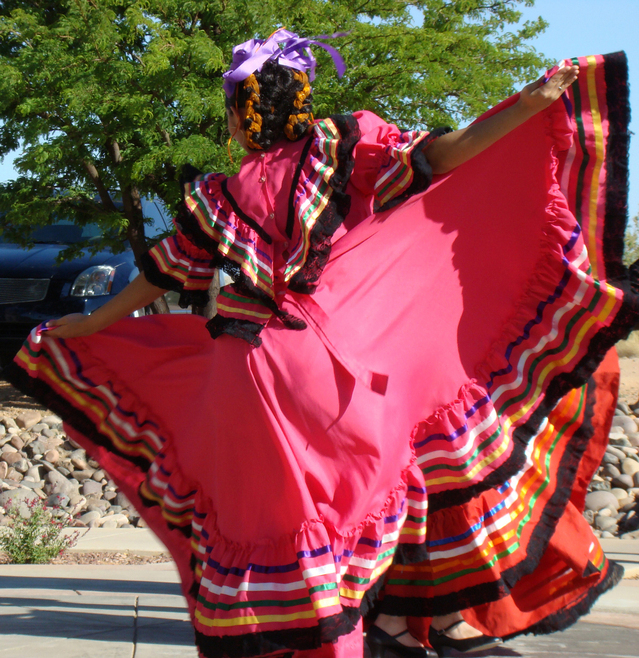 Know when Hispanic holidays are coming up such as Cinco de Mayo (May 5), Dia del Niño (April 30), a Christmas Posada or Mexican Independence Day (Sept.16, 1810). Find out if there's a local celebration, and maybe find a way to volunteer at a booth or table. Otherwise, just enjoy the fiesta. Dia de los Muertos or Day of the Dead (Nov. 1 and 2) is also gaining popularity. Here is a thinking-out-of-the-box idea that is perfect in making a local Spanish immersion experience happen. I know a student who asked a Spanish speaking family to let her live with them for a period of time. She paid for her room and food expenses. She got to experience hearing native Spanish daily and she improved her speaking skills greatly. It was very much a win-win situation. The family had a renter and she learned authentic Spanish, not book Spanish. If some of you have the time to volunteer, look around in your community for a place that puts you among Spanish speakers where you can help. A few places that come to mind: a boys and girls club, tutoring, food bank, coaching. With students in my class, I have gone to local taco trucks and have my students speak Spanish when they order. If it's busy, it is a great time to be able to listen in on how a native speaker makes an order. You'll hear expressions such as "Me da ....(for the English "May I have...) which is something that is hardly ever taught in a Spanish classroom. Street tacos, street lingo. Perhaps you have the good fortune to live by some excellent Mexican food restaurants run by Spanish speakers. Go ahead, practice and order in Spanish. Strike up a friendship with the owners or wait staff. Become a regular and get in lots of practice. Hire a Spanish speaking person to do a job for you in or around your home. You can read up on vocabulary that would be necessary in that job area to converse with him or her. If they are bilingual, it is very easy for to you pick up more commonly used vocabulary and phrases from them rather than a dictionary. On their breaks, take time to chat with them. These are great opportunities to practice everyday conversational Spanish. Look around for someone to teach or share a hobby of yours. 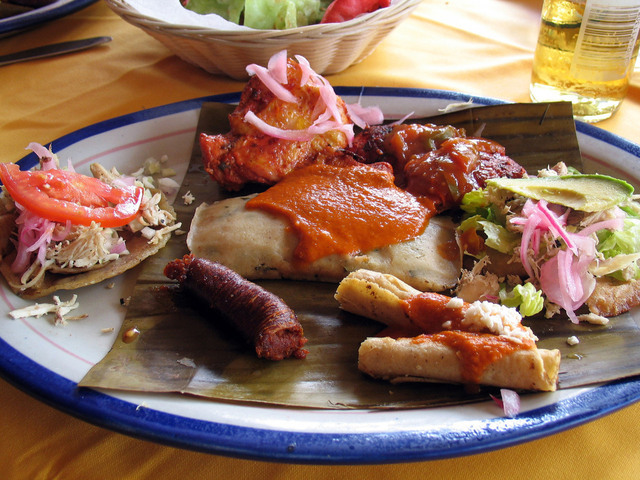 If you have an interest in cooking, look for someone in your area to give you cooking lessons in Spanish; learn how to make authentic salsas and native dishes. If you have an interest in music and play an instrument such as the guitar, you might ask if someone might teach you songs in Spanish. These can be paid classes or a barter exchange. Perhaps you teach them English for their class; or just a straight language lesson exchange of Spanish for English. Check on Meetup.com if there is a group that practices Spanish in your area. There are often Spanish groups/round tables that get together for conversation or a reading club. The ideas mentioned above show ways you can be proactive in designing a local Spanish immersion situation for yourself. It involves getting out into your community and finding other people with whom you can practice Spanish locally. However, the listening component of a Spanish immersion program is lacking here, which is where the Internet comes into the picture. There is so much one can do for listening practice on the internet that I've written about it in detail in a Part 2 to this page.